If there’s one thing that’s certain about the holiday season, it’s that things will come up fast. You may think there’s plenty of time to get that shopping done, but we’re already in the homestretch. One of the worst feelings you can have at this time of year is not knowing what gift to buy for close friends and loved ones. If this is an annual problem or even if you’re experiencing “shopper’s block,” we want to suggest the perfect solution for those people who are tough to shop for on your list. Give them a Skyline Cruises gift certificate and send them on a spectacular excursion aboard a Skyline cruise. Skyline dinner cruise gift certificates are easy to buy and they are good for up to a year on one of our public dinner cruises. They run from $50 to $5,000. and they’re available on our website. You can use these gift certificates toward the partial or full price of an excursion or any of our services. Purchase a gift certificate in December and get a 10% bonus at purchase and an extra 10% cruise discount for the purchaser. Treat yourself as well as others! 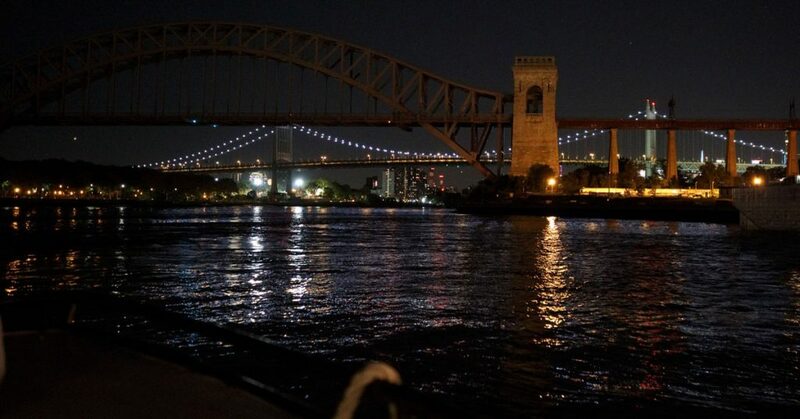 Whether you’re giving the gift certificate to friends or relatives from out of town or to a lifelong New Yorker, a Skyline Cruise will be a memorable experience any time of the year. When you book a cruise, you won’t have to worry about weather as the Skyline Princess is climate controlled. If you’re gifting a Skyline cruise to that special someone, they’ll enjoy just how convenient our public dinner brunch and lunch cruises are. 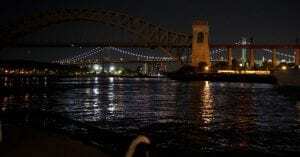 All of our public cruises leave from our home port at the World’s Fair Marina in Flushing, Queens. It’s located near several major highways including the Grand Central Parkway, Long Island Expressway, and Brooklyn Queens Expressway. Parking is always free. If you’re taking public transportation, just take the 7 train to Citi Field. Your gift recipient will enjoy a four-hour Skyline Cruise to the Statue of Liberty, a dinner, and a great DJ and dancing. Our upper deck, known as the Skylight Deck is a great place taking advantage of our dance floor and DJ. The Skylight Deck can be open air or enclosed and each level of the ship has viewing areas to provide you with great opportunities to take memorable photos of all the sights. And what looks better than the New York City skyline during the holiday season? In addition to our public dinner cruises, Skyline is perfect for any event or celebration you might be planning. We’re a unique wedding venue and have our own terrific celebrant in our longtime friend, Captain Arnold. We’re an ideal place for business meetings, birthdays, Bar/Bat Mitzvahs, school events like proms, and much more. We offer full ship charters which can leave from ports throughout the metropolitan area on Long Island, New Jersey, Westchester, Connecticut, and Manhattan. If you’re planning a smaller event, why not rent a private deck on one of our public cruises? We also host intimate events where you can reserve just a table or two. Just let us what you want. From a large wedding banquet to a dinner cruise gift certificate for a cruise, Skyline can do it all. Give us a call today and let’s start planning your special event.